It’s been almost three years since the extraordinary guitarist Sonny Landreth released his last album, 2012’s Elemental Journey. The disc was Landreth’s first totally instrumental work, and it veered – ever so slightly – from his typical Delta-bred slide-guitar sound into a more jazz-flecked direction. On June 9th, 2015 Provogue Records will release Bound By The Blues, which is said to represent a return, of sorts (he never really left) to his blues-based sound. 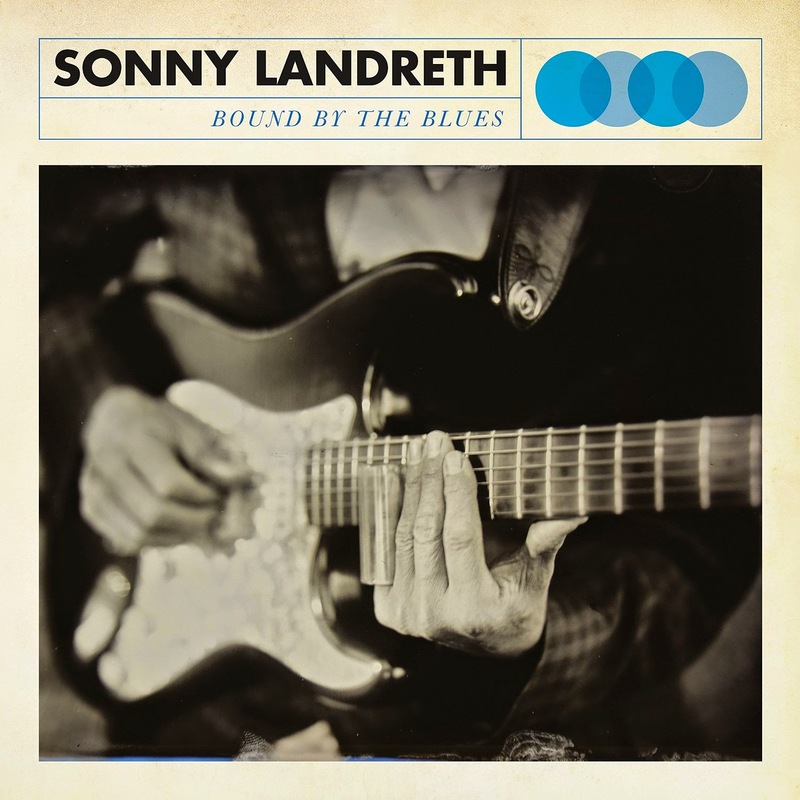 Landreth returns to the microphone for Bound By The Blues, the album offering ten tracks that showcase the guitarist’s amazing tone and dexterity, as well as his subtle, uniquely twangy vocals. The album’s title track name checks Landreth’s musical heroes like Muddy Waters and Jimi Hendrix, and thanks to the good folks at Provogue Records, you can listen to it below via SoundCloud. Landreth has enjoyed a lengthy and critically-acclaimed career. Through the years, Landreth has played and recorded with artists like John Hiatt, John Mayall, Eric Clapton, and Jimmy Buffet, among many others. Since the 1981 release of his solo debut Blues Attack, the guitarist has released better than a dozen live and studio albums that mix blues, rock, folk, zydeco, and jazz into a sound that defines the Americana genre.